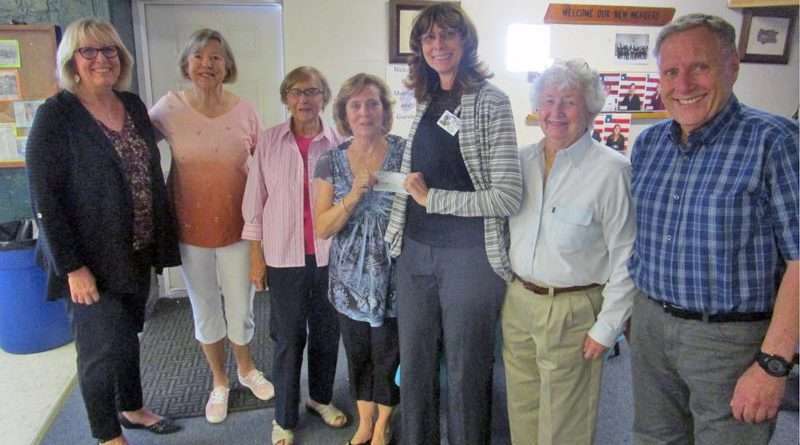 Anyone familiar with the work of the Seneca Hospital Auxiliary knows the “Pink Ladies” have been a vital asset toward the success of Seneca Hospital for many years. On June 13, SHA hosted its annual meeting and installation of officers at the Lake Almanor Elks Lodge 2626. This luncheon and meeting however was a little different than most in that all attending members had to be injected with a small amount of fluid (called tuberculin) into the skin on the lower part of the arm. Wow! You have to be stuck with a needle just to attend the SHA luncheon? Every person that works in the hospital or clinic, whether paid staff or volunteer, must be tested for tuberculosis annually and because there are so many volunteers at this luncheon each year the hospital simply uses the opportunity to bring the test to them. The rest of the agenda was taken up with customary procedures, with welcomes and introductions. This year’s theme was centered on the game of Monopoly. 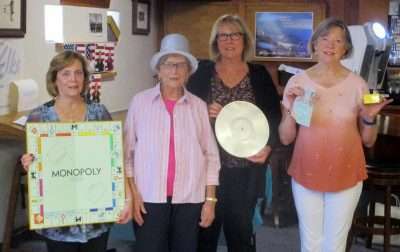 Luncheon organizer Toddy Cutler had the table décor reflecting many aspects of Monopoly and as she inducted each of the incoming officers, they were presented a Monopoly token as a reminder of their respective duties. Incoming President Kathy Donley received a Monopoly Board reflecting her duty to lay the groundwork for the coming year and to bring all of the Auxiliary “players” together toward a common goal. Here are the incoming officers for the Seneca Hospital Auxiliary’s 2018-19 year holding the tokens representing the duties of their respective positions. From left: President Kathy Donley, Vice President Norine Shamberger, Secretary Denise Perry and Treasurer Maggie Fleming. Under their guidance the goal is for everyone to come out a winner. New Vice President Norine Shamberger has a new silver top hat to remind her that she will don many hats in the upcoming year. These new officers, along with board members Sharlyne Anderson, Eileen Kennelly and Barbara Friday, will over see events for the 2018-19 Auxiliary year. 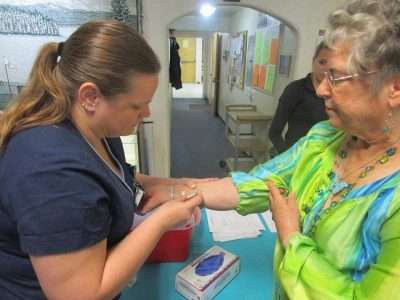 With volunteer hours totaling over 1,100 during the last year to provide events —including their donation drive, health fair, blood drives, flu shot program, game day and visits and activities for the Skilled Nursing Facility — they are sure to stay busy. The Auxiliary also presented a check in the amount of $32,000 to Seneca Hospital CEO Linda Wagner to fund some needed items for the hospital. A hearty congratulation to the new officers and a sincere thank you for all your work on behalf of the community.